FREE DOWNLOADS from the Velvet Hammer Book! The Velvet Hammer is a woman leader who can manage with grace and eloquence and still get things done. She has given up trying what might work for her male counterpart... and has found her own unique way to lead others. The Velvet Hammer not only offers great tips in a book distinctly for women on leadership, it also offers unique "Velvet Hammer" gifts for the woman who got the promotion or just needs to be recognized. This book is a great way to say “thank you” to the many women in your life who deserve some recognition after a long project, a year on a board or committee or after any challenging time. Buy the Kindle edition ebook at Amazon.com for only $8.99 USD! Read more about The Velvet Hammer HERE. 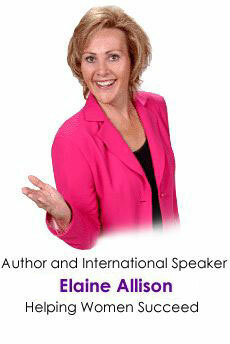 Elaine has partnered with Deepak Chopra and Ken Blanchard and many other experts. She is a contributing author to Roadmap to Success. 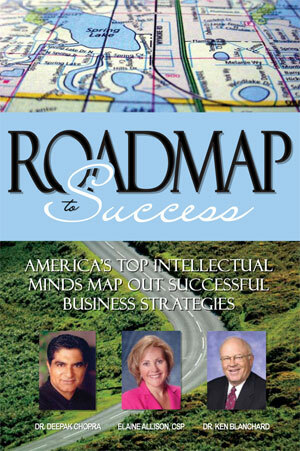 Roadmap to Success brings together North America's top intellectual minds. To be successful in life we all need a detailed plan or set of instructions to guide us in getting from where we are to where we want to go. This detailed plan is our roadmap and it allows us to organize our thinking so we can do what is necessary to reach our goals. 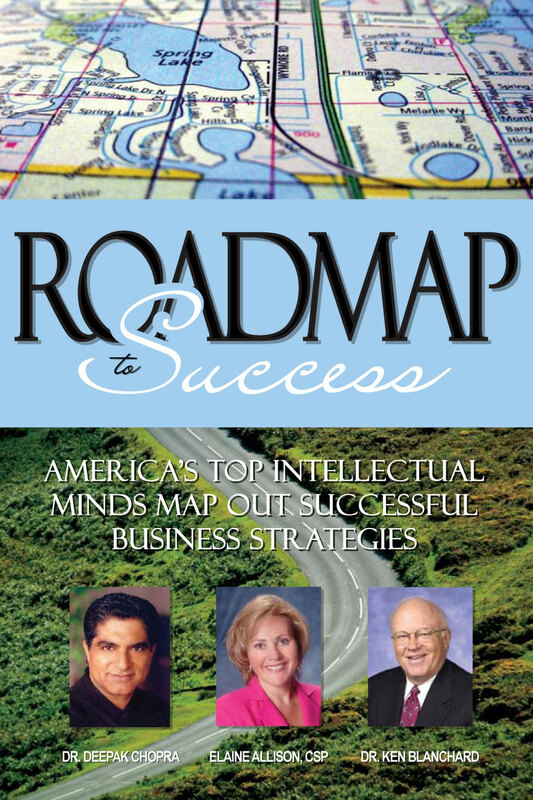 Roadmap to Success is a tool you can use to plot your course by learning from several of the most successful people in business today. These people have the experience and proven ability to steer you in the right direction. You will find their broad perspectives of leadership will give you tips and strategies about how to reach the top and stay there. 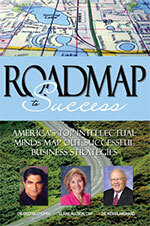 If you have achieved success or if you are still on the road to success, you'll need a roadmap. Roadmap to Success is an investment in your future. Remember you are your most valuable asset.